9000 PLR Articles in different Niches. You can Resell these Automatic websites to anyone or You can use it for your own, All the blogs are integrated with ClickBank and Amazon.You just need to replace you Amazon and Click Bank ID and you can sell the products on Autopilot. I will also share Videos on How to install the Blogs into hosting, You can Earn money by placing AdSense ads on your blog and earn $100 Per day. 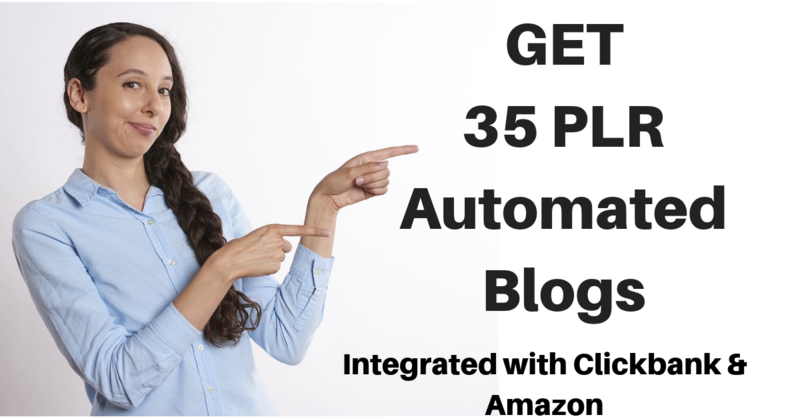 Give you 35 Automated PLR Blogs Integrated with Clickbank & Amazon - Bonus Included is ranked 5 out of 5. Based on 7 user reviews.